Extremely pleased with every aspect of the company. From the moment Bob showed up we knew this was the right company for us. He was so happy, very thorough when inspecting the roof, vents, attic, etc. Very knowledgeable and explained every little detail of what needed to be done and how it would be executed. Bob gave us different options for materials and pricing. The gentlemen that did the work were professional, respectful, worked very hard to get the job finished in one day and did a great job cleaning up afterwards. Bob and Jerry (one of the owners) came by during the day to make sure all was going well and that we were happy with the job. Jerry also came the next morning (as it was a late night in the dark finish) to get the bin and swept my driveway. (Sweet man). This is a fantastic company, I would highly recommend. Thank you so much for choosing Smart Roofing Inc. and for your detailed review. We appreciate great customers like you!!! I was very impressed by the staff from Smart Roofing and the work they completed for me. 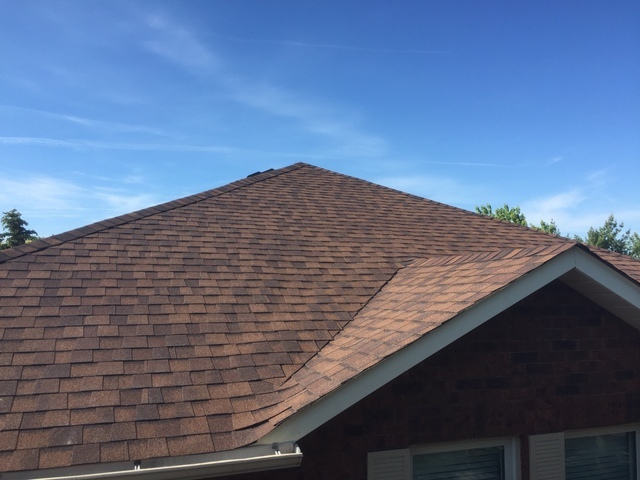 Of the seven local roofing companies I contacted for an estimate, Bob Morgan of Smart Roofing was the only estimator who climbed onto my roof, to visually review the roof and the state of the shingles. In less than a week of myself signing the agreement, Darrah confirmed the date the roofers were going to work on my roof, weather permitting. The refuse bin was dropped off in my driveway, ensuring all the old shingles and other garbage would be removed the day of the project. The day of the re-shingling began, the first team of roofers arrived early, at 7:30 am. They began placing the ground sheets and protective plywood sheets on the ground and against my walls and those of my neighbour's home. The second team arrived 15 minutes later, still ahead of schedule. The complete team of four roofers, quickly and efficiently removed the shingles from one side of my roof. Once this side was bare to the wooden boards, two of the roofers began installing the sealed membrane and tar paper, to protect immediately the roof in case of rain. The other two roofers continued to remove the shingles on the other sides. Before I knew it, the new shingles were being nailed to the roof. 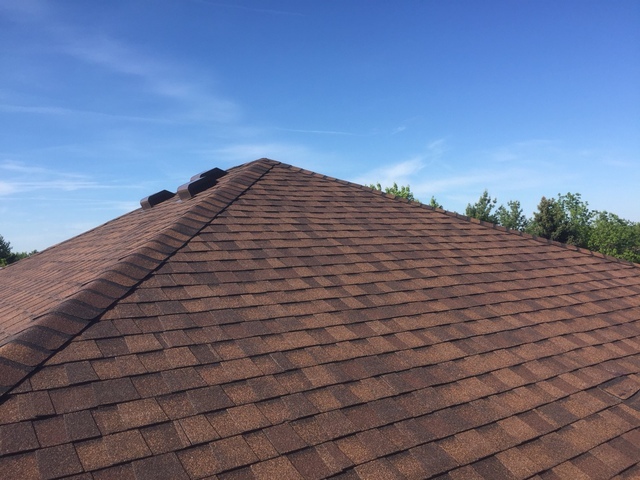 Five metal attic vents were installed, replacing the old plastic ones. They cut through a roof board, to install the requested vent for the washroom. Metal flashing was placed around the chimney and in the valley. By 4pm, the crew finished their work on the roof, including cleaning and removing all debris from both my and my neighbour's property, including the old, broken shingle stuck in the tree. They did a great job! The next day, the refuse bin was removed from my drive way. A few days later, Bob returned to inspect their work and provide me the warranty certificate. Thank you so much for your detailed review, it was our pleasure having you as our customer! New roof and all new insulation. All work was done well and on time. The crew was excellent. Would highly recommend them. Thank you so much for choosing Smart Roofing Inc.! We recently bought a home in East York that had a roof that looked like it would collapse. I could tell that not only was the roof gone, there were already SIX layers on it, but that the deck, joists and supports were also rotten by how it was sagging. I met Bob, the estimator, who arrived on time, explained clearly what needed to be done and presented me with an estimate after examining the roof. I had already had a quote, so was very pleased with his estimate. He told me when they could start work, which coincided well with when we wanted it done. Tim & his crew arrived when promised and completed all the work in a timely fashion. The work could not have been done in a more professional manner. Highly recommend Bob, Tim and this company to anyone who needs roofing work done. Thank you Simon for your detailed review and recommendation, it was our pleasure to have you as our customer! Thank you for your review and for the privilege of having you as our customer!!! They were very courteous workers and friendly. They like dogs! Did a very efficient service with as little disruption as possible. Great clean up of debris and nails. Thanks to Bob, he was great getting it started and completed. Thank you so much for taking time to write the review of our work and for being our customer! I am extremely pleased with the new roof that was just installed by Smart Roofing. I was impressed by the professionalism of the installation team and the job was completed in record time. They also did a thorough clean up of the premises be fore they left. 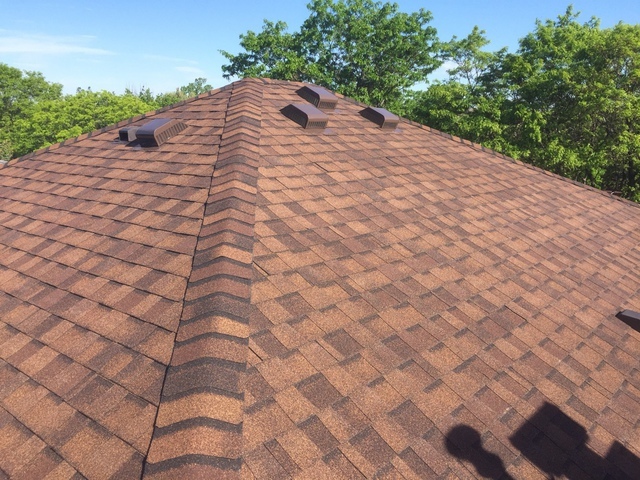 I like the look of my new roof, and would have no hesitation in recommending Smart Roofing. Bob and Jerry were both excellent to deal with. Thank you for being one of our valued customers and for choosing Smart Roofing Inc. We appreciate your recommendation!